Thursday, January 24 at 4 p.m. Though intended for the classroom, there will be information useful to individuals also. Check it out. Report by Stephanie Hemphill from Minnesota Public Radio yesterday, January 7, 2012. Story includes a great video on how recycling is sorted and what happens to it. Check it out! More than 40 percent of Minnesota homes have dangerous levels of radon gas and state health officials say every home should be tested. 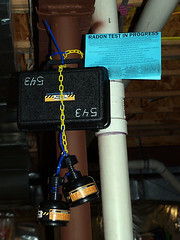 To emphasize the importance of radon testing, Gov. Mark Dayton has declared January “Radon Action Month” in Minnesota. Over 40 local public health agencies around the state have partnered with the Minnesota Department of Health (MDH) to make over 8000 radon test kits available to local residents at low or no cost. For details on how to obtain a kit, contact your local public health agency or MDH. A list of participating health agencies can be found on the MDH website at http://www.health.state.mn.us/divs/eh/indoorair/radon/rncontacts.html.